Problems with Chinese statistics remain a permanent feature for analysts and market participants trying to understand its economy and financial system. Now the head of the National Bureau of Statistics, Ma Jiantang, has announced that his statisticians will attempt to address some of the problems this year. 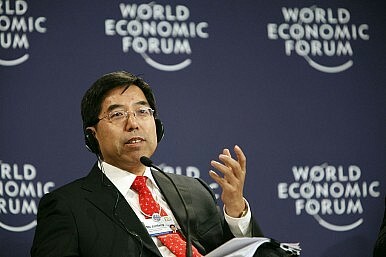 Wikileaks revealed that as far back as 2007, Li Keqiang allegedly made these comments to the U.S. ambassador. More recently, we have heard reports that Li favored looking at “sub-indicators” such as rail cargo volumes and electricity consumption ahead of the main quarterly and annual GDP rates. Now that Li has been formally head of China’s government for nearly one year, it is perhaps not surprising that these concerns are to be addressed. One of the main problems is the constant discrepancy between the GDP readings calculated by combining the reported local growth rates of all of China’s local governments and the rates released for the country as a whole. Famously in 2011, the size of this gap was the equivalent to the entire economy of Turkey. Now, in announcements published on Tuesday, Ma Jiantang, China’s “chief statistician,” is reported to be preparing to address this issue (Chinese available here). Eliminating this particular discrepancy would be a big step forward for Ma’s National Bureau of Statistics (NBS). Yet one of the difficulties that Ma is bound to face is that his bureau must at the end of the day rely on local data. Even if central inspection teams are relied on solely to produce the statistics, they must still rely on data generated at the local level. The problem, as was underlined in another release on the same day, is that there have been incentives to falsify data that outweighed the consequences of being caught doing so. Incentives for local government officials have been identified as a theme of several recent reforms. The main problem has been that “growth is king,” but has manifested also in the dual problems of growth being promoted over environmental protection, and growth being promoted with no regard to how the associated debt will be repaid in the future. As with nearly all of China’s recently announced reforms, the proof will be in the implementation. For Ma and his statisticians, the key will be finding ways to correct the data while preventing “innovative” officials from finding new loopholes to exploit. In a more general sense, again China’s top leaders must consider how to adjust the incentive structures that drive officials throughout the country. In Dalian, Li Keqiang pressed China’s case for global leadership and assured investors about economic stability.